When you’re traveling to some foreign place, it can be very easy to forgo sticking to your budget because you treat it as a once-in-a-lifetime event. 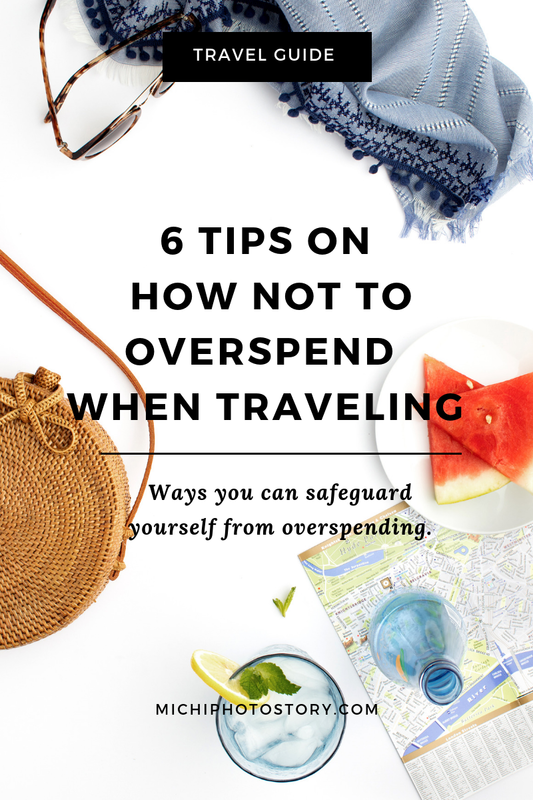 Overspending is a major issue for those on a travel budget, and while it is good to treat yourself once in a while, you don’t have to spend more for something that you can probably get for less. Traveling is already expensive on its own, and if you overspend, you may end up in debt. If you do that for so many times in a row, it can lead to your financial ruin. If you’re going on an international trip, it could be difficult to estimate the exact budget you’ll be needing, because of differences in currency and of tourist taxes. Fortunately, there are ways you can safeguard yourself from overspending. Here are some tips to make your traveling fun, memorable, and within budget. More specifically, spend the money you actually have. You may be taking credit cards with you on your trip for extra financial security. It may be tempting to whip them out on special occasions or for “last-minute” deals and purchases, but if it’s not part of your budget, it’s best not to do it. If it’s something spontaneous, it’s a good idea to not jump at the first chance. If it’s something like an activity or item you really want, it’s best to do some research first or even haggle if it’s possible to get the best possible deal. Ideally, you should set a spending limit on how much you will spend daily or for the whole duration of the trip. Another thing to remember that may be helpful is to keep track of every purchase and to keep every receipt so you know how much is left in your budget. If you’re on vacation for more than three days, it’s best to plan an itinerary to schedule your days ahead instead of wandering aimlessly. Having activities per day reduces your chances of spending needlessly on things you see on the sidewalk or at the mall. Plan for an immersive experience where you can have a taste of the local way of living instead of going to malls. Unless they’re specialty items or things unique to the place or country, you can just do your shopping back home. An itinerary is also useful for when you need to set the overall budget because you can anticipate what things and activities you need to pay for. You can keep track of your expenses better if you know what you will be doing daily. It’s best to plan ahead for the activities you want in an itinerary because tourist spots usually have good deals for early birds. Most travelers spend a lot on travel accommodation because they want to be as comfortable as possible. However, if you have a full itinerary of activities, then you won’t be able to get the best bang for your buck by booking the best room in the hotel. If your daily activities involve being outdoors, it is recommended to rethink your choice of accommodation. You need to know that five-star hotels or hotels, in general, are not the only options. There are cheaper alternatives, like hostels, Airbnb, and other services. They may not give you the best privacy, but they’re a lot cheaper, and your budget will thank you for it. They also have similar amenities or even have something more personal to make your stay more comfortable. Before going on your trip, it’s a good idea to look around for promos and even last-minute deals for activities and even for food and drinks. If it’s anything tourist-related, chances are, there are promos for any specific area. These can help reduce your food and activities budget without sacrificing quantity or quality. If you plan to go away for only a couple of days, then it is a good idea to take a small luggage with you. A leather weekender bag is a good choice for this kind of trip because it is spacious to carry all your clothes, including toiletry, but not big enough to be checked in if you’re flying. If you plan to bring back souvenirs, you can fit a couple of them without any worries. If you’re unsure where to start first, it is a good idea to look at your itinerary to have some idea what to pack. Make sure to consider the weather and what kind of activities you will be doing on your travels so you can anticipate what clothes to bring and wear. If you plan to bring some gear, like photographing equipment, it’s best to pack them in special bags so they will survive the travel. If you need more tips on what to bring, there are packing checklist resources to guide you. If you’re traveling by plane, the cheapest way to score tickets is to plan far ahead. You can also buy them during promos if you have a flexible work schedule. Ticket prices for both local and international flights tend to be really cheap six months before the date of departure, so make sure to take advantage of that. If you book ahead, you will have plenty of time to plan out your itinerary as well as save up for the trip. If you’re a regular flyer or constantly use any travel service, make sure to sign up for loyalty programs for bonus deals and discounts. On another note, if your destination involves a lot of commutes, take some time to research if it is cheaper to rent a vehicle or use public transport. Depending on where you are in the world, either may be a practical choice that can save you big bucks. There are still so many ways you can save or stick to your budget when traveling. The tips mentioned above are just general guidelines. The best way to find out what works for you and your circumstance is to practice mindfulness especially about where your money is going to. It also helps to be patient if you want to look for the best deals. What are your tips to avoid overspending when traveling? List them in the comments below. Thanks for the tips. The first thing I do in all my vacation planning, here and abroad is to determine my budget. I already alot a specific portion of our money to food, accommodation, transportation, tours and pasalubong. Thanks for the tips sis. Dami ko na natutunan sa yo especially with travels.